Aspire Cobble AIO Vape Starter Kit is an all new AIO (All in one) device that is Aspire’s first fully closed POD system. Designed to look sleek, be comfortable in the Pocket or the hand and perform exceptional as a mouth to lung setup. The Aspire Cobble is aimed at mouth to lung users whom prefer a throat kick and the replication of smoking rather than huge clouds of vapor. The Cobble AIO is available in 5 different styles as shown below. 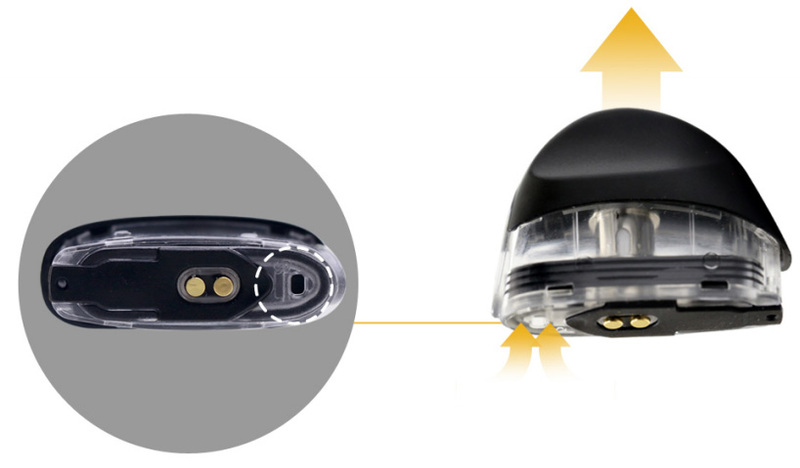 The pod system is fully closed meaning you cannot change the coil, however, replacable pods are available once the coil comes to the end of its life span. The Pod is fully TPD compliant and holds 1.8ml of e-liquid which is perfect for mouth to lung vaping. The coil inside the pod is a 1.4 ohm Nichrome BVC coil and gives intense flavour for a MTL device. Filling the pod is so easy and is done so by following these simple steps. Push up from the E-Liquid viewing window to release the pod. Turn it upside down and remove the Silicone seal. Insert the bottle into the filling port and fill the pod to its maximum level. Close the seal and push the pod back into place remembering to leave enough time for the coil to soak the juice fully. The Cobble features an auto draw system meaning you activate the vaper simply by drawing on the mouthpiece. Combined with the unique airflow system of the Cobble that is designed to give the perfect draw for users whom want to replicate smoking that is tight yet full of awesome flavour. So small in the hand yet the Cobble has a 700mah battery capacity so when used as a mtl device this is plenty to get you through the day. Charging the device is again so simple and easy that you connect the supplied USB cable and the onboard LED will indicate the device is on-charge and also when it is at full capacity.